Z-Systems develops the metal free, aesthetic dental implants. It’s one piece zirconia implant system provides superior esthetics and enhanced Osseo integration. Because of its high performance, zirconium oxide ceramic is exclusively approved and recommended by qualified dentists and dental laboratories. According to the Medical Devices Directive MDD 93/42/EEC, Z-Systems is certified to ensure safety to its users. The U.S. Food and Drug Administration (FDA), including many safety regulatory agencies across the globe such as European and German directives, have approved the Z-Systems implants. Hence, modern dentistry welcome these healthy, aesthetic, and safe alternative implants from Z-systems. 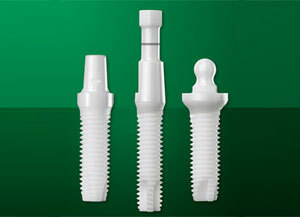 These implants are available in grey and white choices. Z 5 zirconium implants, developed by Z-Systems offers best aesthetics because of its white colour. It incorporates high-performance, white zirconium oxide ceramic that resembles real teeth and provides a natural look. Zirconia dental implants are well tolerated by soft tissues because of their excellent biocompatibility. It is suitable for patients with allergies, as these hypoallergenic implants do not trigger allergy and sensitivity problems. 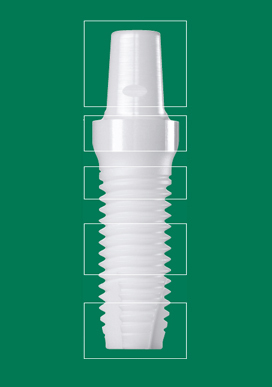 This approved and certified implant system maintains its high quality even after several years of usage. They can be permanent alternatives to natural teeth. This completely metal free dental restoration is resistant to corrosion and doesn’t cause chemical reactions unlike other types of implants. It aids in good tissue regeneration. This 100% zirconium oxide made implants guarantee that patients with known history to allergies are never exposed to metal during procedure. These implants can be placed immediately after a tooth extraction procedure. Zirconia based implants can be used in one stage. The procedure involves less pain and has a shorter recovery time. • Available in 3 different types: one piece designs and 2 different 2 piece designs. • Simple Zirconia design allows prosthetic procedure to be performed in a similar method as used for natural teeth. • It is recommended for treatment with CAD-CAM prosthodontics. Schedule an appointment. Consultation is free!